You can run Toon Boom Storyboard Pro on the Windows and Mac OS X operating systems. You will also need Apple QuickTime Player to play back movies and Adobe Reader to display PDFs. Windows: Select Start > Programs > Toon Boom Animation > Toon Boom Storyboard Pro > Storyboard Pro. Mac OS X: Select Applications > Toon Boom Storyboard Pro > Storyboard Pro. 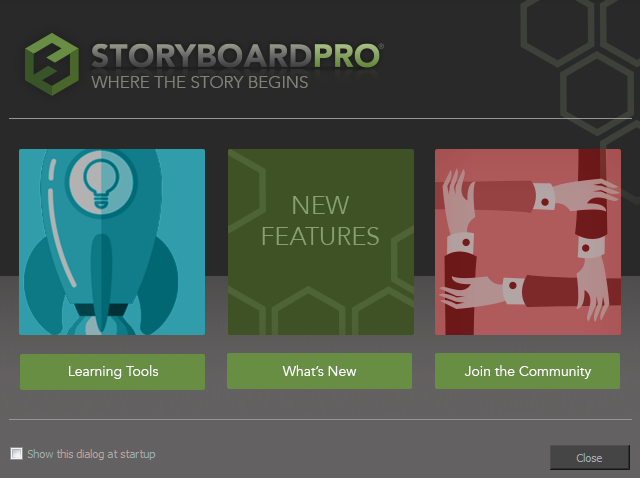 Storyboard Pro opens. 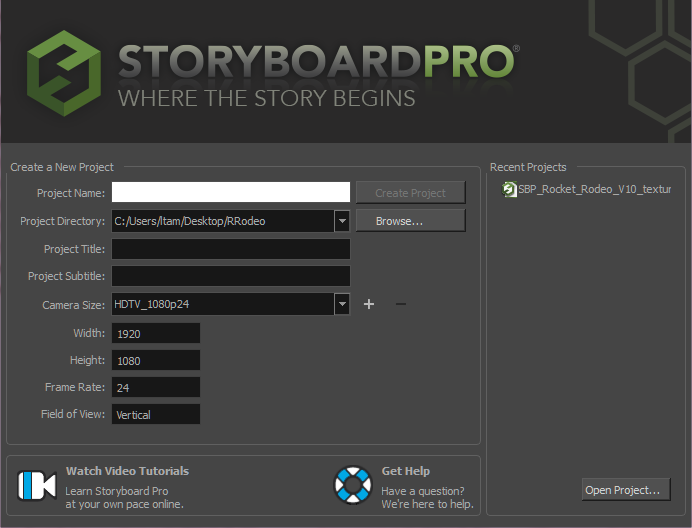 If this is the very first time you are starting Storyboard Pro, then the following screen is displayed. If you want to explore, go ahead and click one of the button. Otherwise, click Close. A second Welcome screen displays.